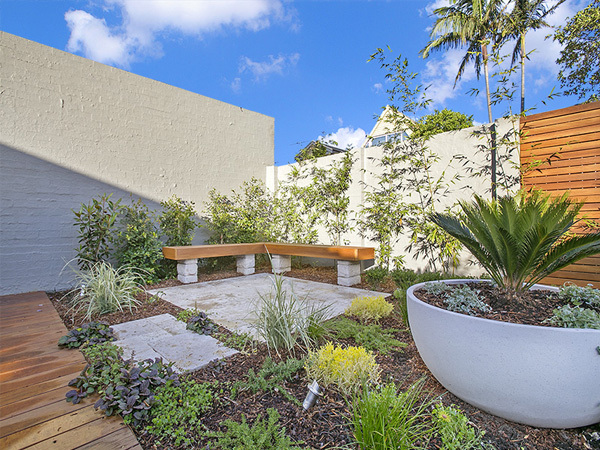 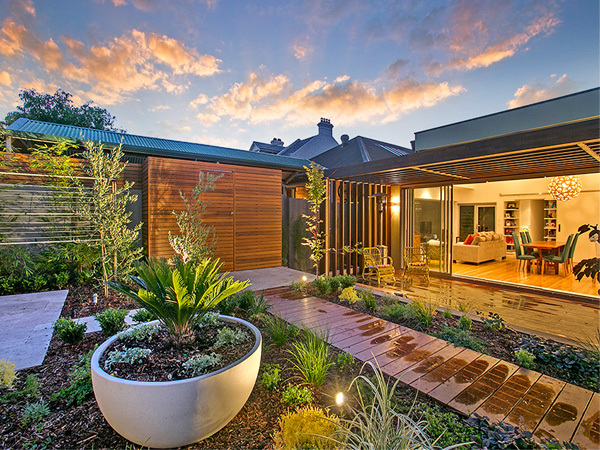 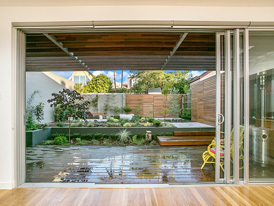 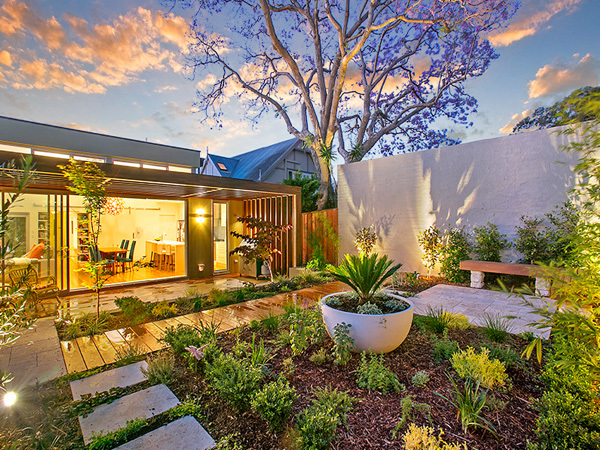 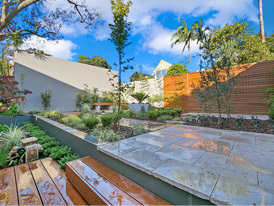 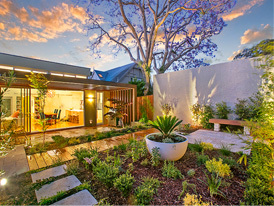 The clients of this Annandale project had recently finished a stylish extension to the rear of their property and were after a garden to match. 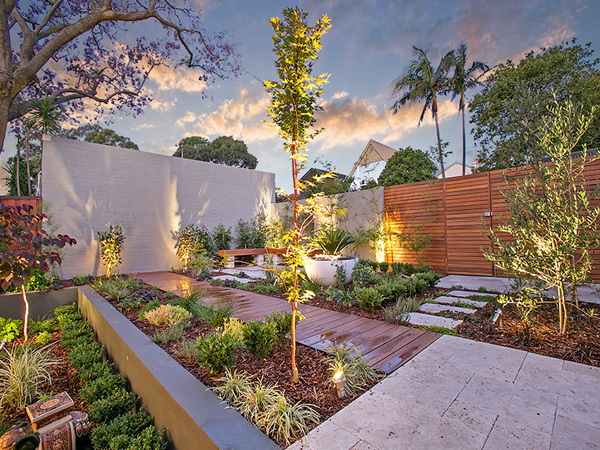 For this project we decided to go with a more geometric design that would accentuate the width of the space and create a journey as you walk through the space. A tapestry of plantings will continue to soften the straight lines as the years go by. Herbs and edibles have been used through the planting creating a very interactive and bountiful garden. 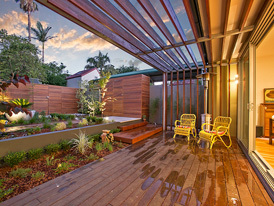 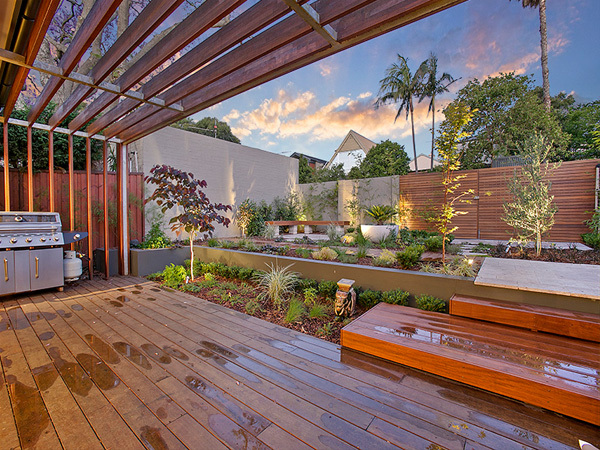 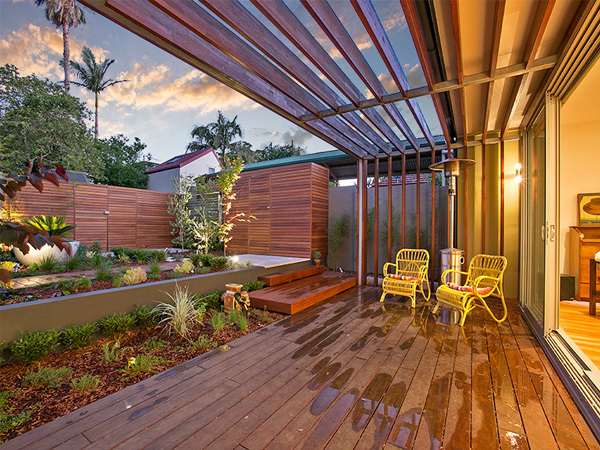 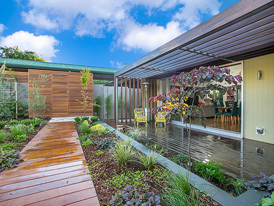 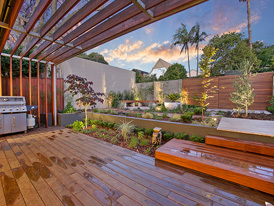 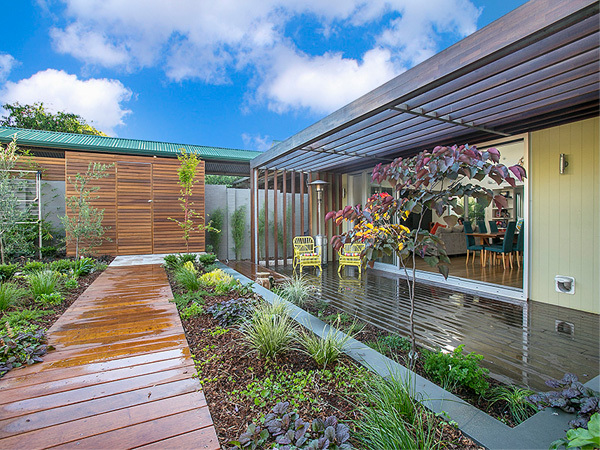 Practical requirements such as storage and the pergola have been designed with some flair that adds increasing layers to the design each complimenting the last. The garden works from a number of levels but particularly when sitting in the main living area with the doors creating a perfect frame. 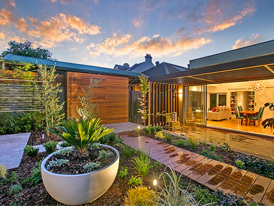 The clients are delighted with the results and are looking forward to seeing it develop over the coming years.